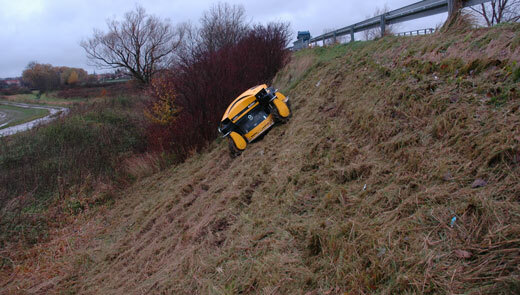 The Spider Mower can cut road side slopes while causing minimum obstruction or interference to road traffic. 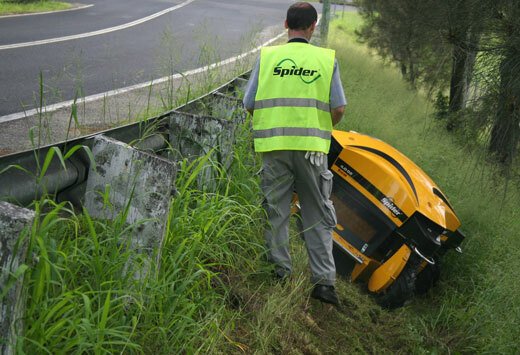 Compared to the conventional approach to such tasks with tractor mounted equipment, the Spider Mower causes minimal interference with adjacent areas. 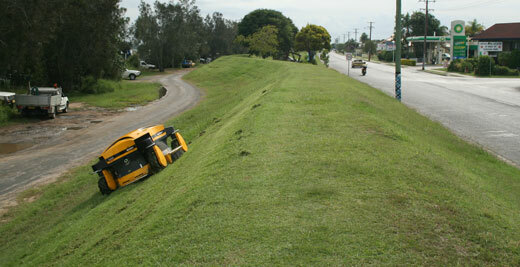 Mowing of a bridge slope in Grafton NSW. 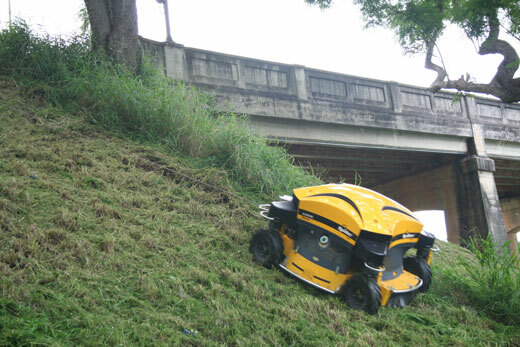 Although the Spider Mower comes into its own on extreme slopes and areas with heavy growth, it efficiently mowers all areas that would ordinarily be mowed by conventional means producing a clean finishing cut. Grafton Bridge, NSW. An area deemed by the local council to be too steep for even cutting by hand held brushcutter. 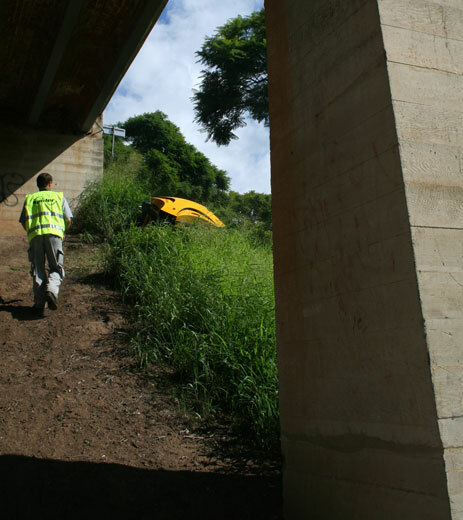 Mowing beyond the guard rail can be undertaken without obstruction to the road traffic. 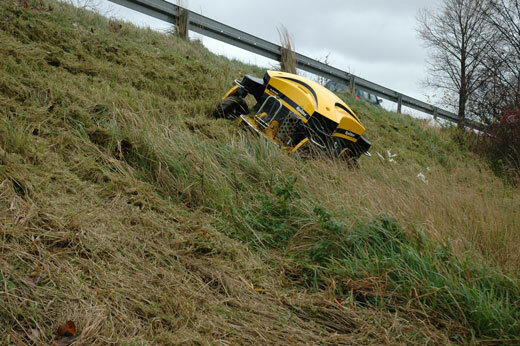 Mowing continues in wet winter conditions; slopes that would be unsafe and slippery handling brushcutters. Wet and slippery road side slope.